Some recommended Design and Media docs if you are looking to check out. 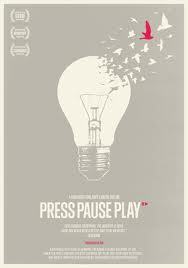 Press Play Pause – Quite the anthem for possibilities of New Media. 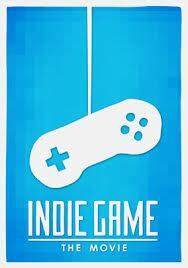 Indie Game – One or two people (which is a very small number) join forces to create a video game. Specifically for the XBox. Given the amount of work that is required to write a real game, seeing this as proof that anything is indeed possible. 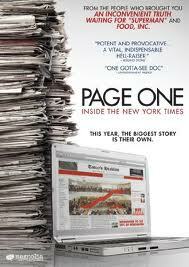 Page One – Many of us love the NYTimes. This is about how Digital Media is affecting the Gray Lady and what she is doing about it. 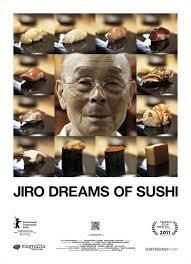 Jiro Dreams of Sushi – I’m not sure how I stumbled onto this doc, but it did teach something. Something that I will never forget about the beauty of purity in miminalism that inherit in many aspects of Japanese art. Something which many other cultures will stumble over.